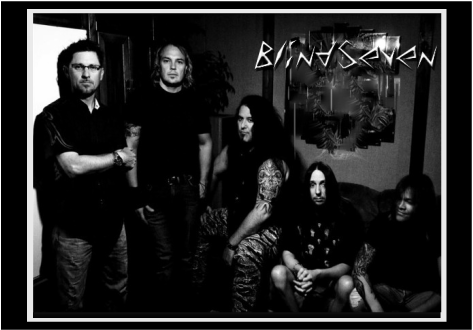 BlindSeven is a Metal band that formed in Phoenix AZ back in 2001 by core members Richie Z(Vocals), TK Mount(Guitars), & Chris Zilar(Drums). BlindSeven has gone through various member changes but the core has always remained the same. In describing the band's sound, what we find is a strong Dream Theater connection not only in the Vocals but in the arrangements as well with there progressive nature. 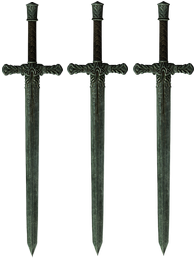 He gave them to all of us and we use them to honor Him. In 2004, BlindSeven stepped onto the Metal scene with the release of their independent debut album titled 'Incisions'. BlindSeven seems to be an underrated band not having garnered much recognition in the christian Metal realm. However, with such a solid debut release, this band has captured and deserves our attention. I can easily see those who are into Classic Metal or even more modern Metal offerings finding plenty to like here with this release. This is a solid project with thought provoking lyrics, guitar solos, and Progressive attitude to say the least. Vocalist Richie Z sounds somewhat similar to frontman James LaBrie(Dream Theater) but then there are moments when his delivery takes on a heavier more gritty tone which draws to mind Dave Mustaine(Megadeth). As one listens to Richie Z's Vocals, coupled with the arrangements, one is transported back in time to the golden era of the 80's & early 90's. TK Mount is the band's shredder who delivers with control and passion as he tears up the fret board. Mount shows his expertise by giving us plenty of varying styles coupled with control which helps keep things interesting. Chris Zilar is the band's time keeper behind the kit where he delivers up some interesting drum lines and time changes. 7When the thousand years are over, Satan will be released from his prison 8and will go out to deceive the nations in the four corners of the earth—Gog and Magog—and to gather them for battle. In number they are like the sand on the seashore. 9They marched across the breadth of the earth and surrounded the camp of God’s people, the city he loves. But fire came down from heaven and devoured them. 10And the devil, who deceived them, was thrown into the lake of burning sulfur, where the beast and the false prophet had been thrown. There they will be tormented day and night for ever and ever. If you like all things Progressive and are into bands like 7 Days, Harmony, Majestic Vanguard, or Dream Theater then I can easily see you adding BlindSeven's 'Incisions' album to your Metal collection. One thing about Progressive bands is that with each listen, the music always sounds fresh with something new to discover that might had been hidden on previous spins. So do yourself a favor and check out this slab of Metal that BlindSeven has offered up to the Metal realm.